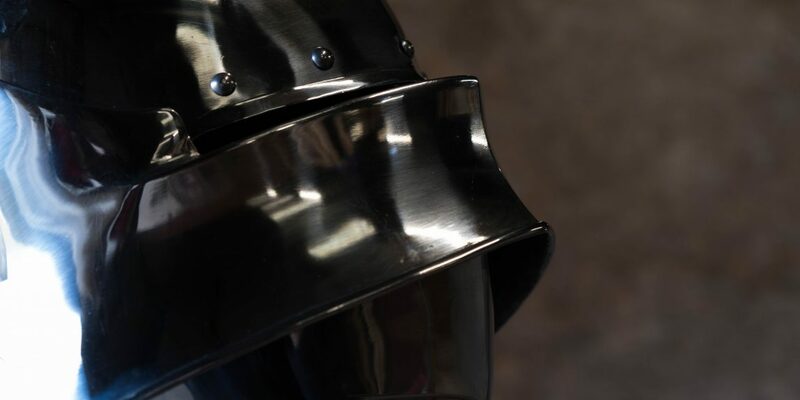 Duke and Hawthorn both made an appearance in a BBC 4 documentary series Metalworks during episode 3 “The Knights Tale” where art historian and curator Dr Tobias Capwell celebrated the great age of armour! Referencing the unstoppable rise of the Royal Almain Armoury at Greenwich, he tells the forgotten story of how Henry VIII fusedGerman high technology with Renaissance artistry in the pursuit of one aim – to become the very image of the perfect knight. Using the talents of foreign craftsmen and his court artist Hans Holbein, Henry transformed himself into a living metal sculpture. His daughter Elizabeth I further exploited that image, making her courtiers parade before her in the most innovative and richly decorated works ever commissioned in steel. During the episode you will see Dr Capwell and Dominic Sewell of Historic Equitation go head to head down the list, where a camera has been mounted on top of the tilt to capture the action of lances breaking at close quarters! Previous Previous post: The Ceremony of the Joust: Courtesy or Carnage?